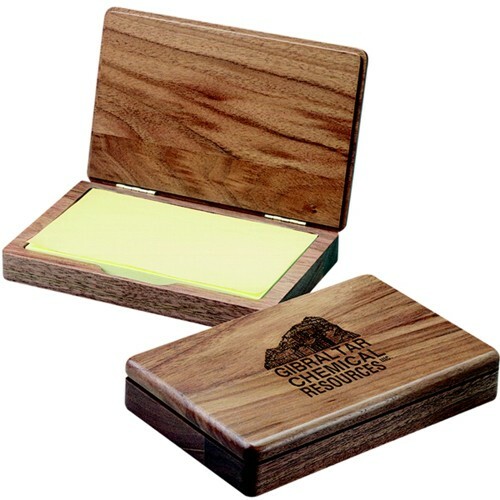 A 100 sheet pad of 3" x 5" self stick notes is neatly concealed within this solid wood box. The large copy area on the lid will allow you to deliver your message in full. Open the lid and take note. Custom printed notes are available at an additional charge. Price includes a one position laser engraving, self stick paper and gift box. Laser Area: 3" x 2"